Efficiently reduce noise pollution – a necessity in our day and age! Noise control is gaining more and more importance because of growing traffic density, increasing mobility of our society and the merging of conurbations and recreational areas. In order to meet these expectations, REBLOC® developed an innovative product for the highest level of road safety. The highly effective, especially developed system consisting of vehicle restraint system and integrated noise barrier tested according to the highest safety and quality standards can be implemented during road construction without consuming space. This goes along with fulfilling our goal, which is to effectively protect people from increasing noise pollution and ensure their quality of life as a result. 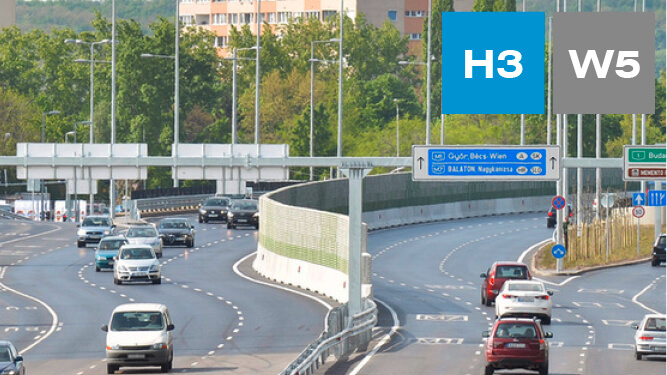 The REBLOC® noise barrier is available as one-sided system for use along the verge of the road as well as double-sided system for the central reservation. Different heights and individual design can be realised. 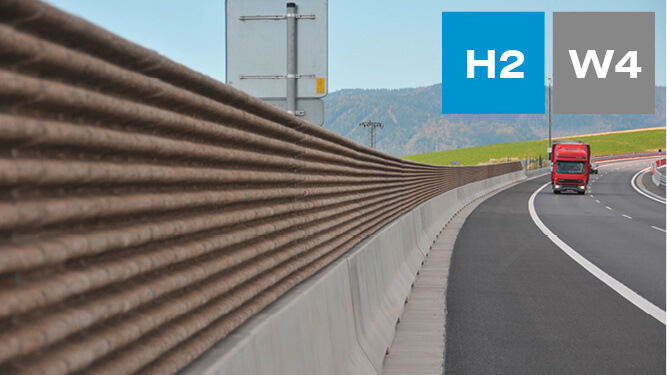 The combination of concrete barrier and noise barrier is extremely space-saving and features a unique slim design. One noise barrier element is inserted overlapping two base elements. This configuration enhances stability. The patented coupling system guarantees a high restraint function and connects the elements to a strong and continuous chain. Conventional designs with separate noise barriers need much more space, which is usually not available. Thanks to the combined system, there is only a short distance between the noise barrier and the traffic. As a result, lower noise barriers can be used compared to conventional designs. Improved noise control can be achieved with the same barrier height. As well as noticeably increasing efficiency, the REBLOC® system also substantially reduces costs. The installation time can be reduced substantially thanks to the simultaneous installation of the concrete safety barriers and the noise barriers. This allows quick and efficient installation, which minimizes the disturbances to traffic. The modular system allows easy access for repair work. The system can be implemented without being fixed to the ground and can also be deployed temporarily.